Loving summer so much, here in TO. It’s been stinking hot but we’re near the beach. 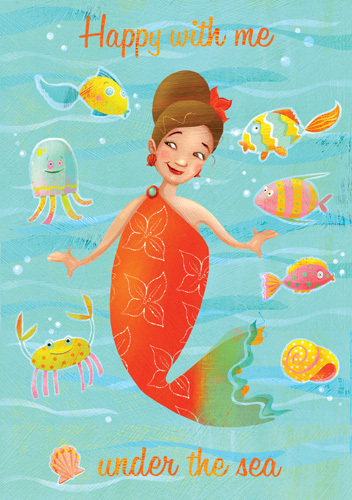 I’ve been a bit obsessed with mermaids this summer, here’s another one, surrounded by undersea pals. I’ll be putting a couple more mermaid prints up for sale in my Etsy shop real soon – stay tuned! Well, I finally finished my latest alphabet illustration… with the beautiful summer we’re having so far I’m all about everything tropical, nautical and beachy! 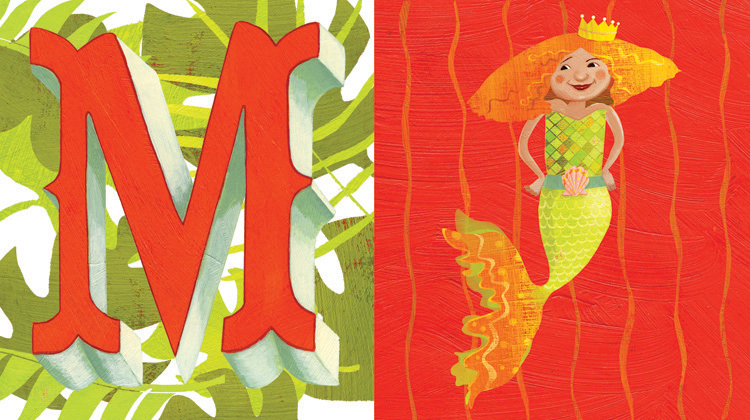 So meet Miss M for Mermaid! Soon to be available in my Etsy shop.